Also known as Bois D'arc (bow wood), Osage Orange was used traditionally by native Americans to make their archery bows. It has a delightful yellow color when freshly worked, which slowly darkens with exposure. 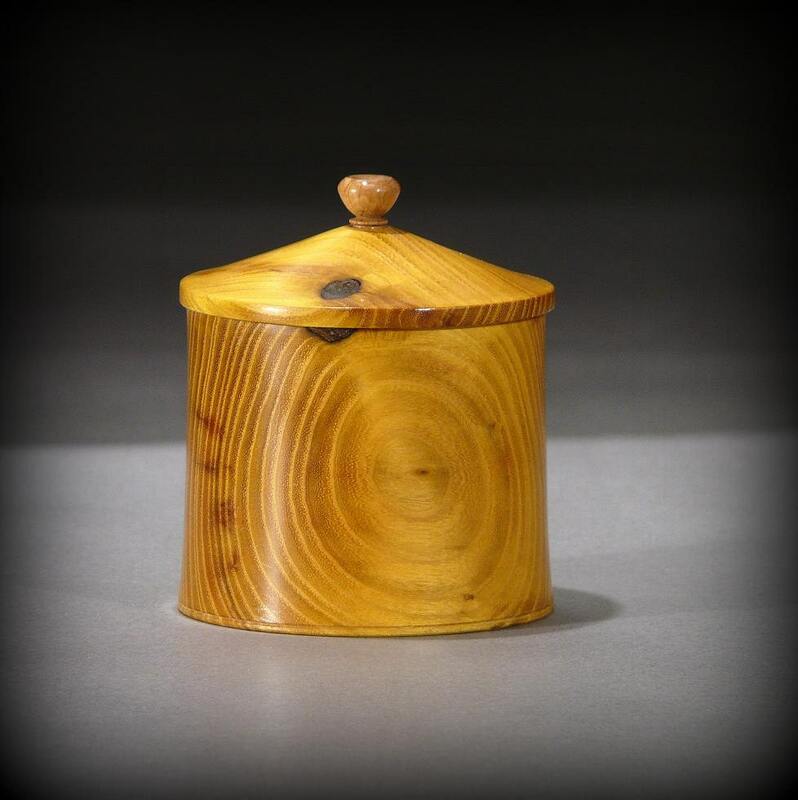 Topped with a Maple pull, this small keepsake box has a subtle starburst pattern on the interior bottom, and is sized to fit unobtrusively on your desk or dresser. Let its glow brighten your day. Finished with a soft semi-gloss lustre.